These can also be made in a waffle maker. They are great with butter and a side of meat. Other options; a soft taco shell, a quesadilla, or wrap, filled with meat and cheese. 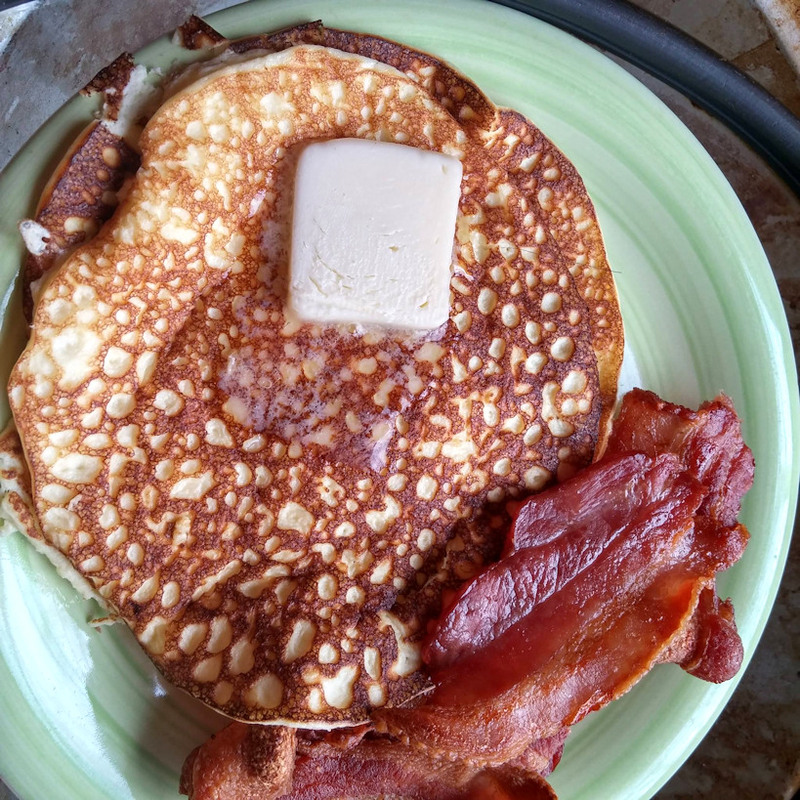 Then into a hot pan and cook like pancakes…flipping when the batter bubbles in the pan. For more recipies and information about the Zero Carb Carnivore diet, join us in our Facebook Groups. Zero Carb Living the Good Life, Zero Carb Health, Zeroing in on Health.